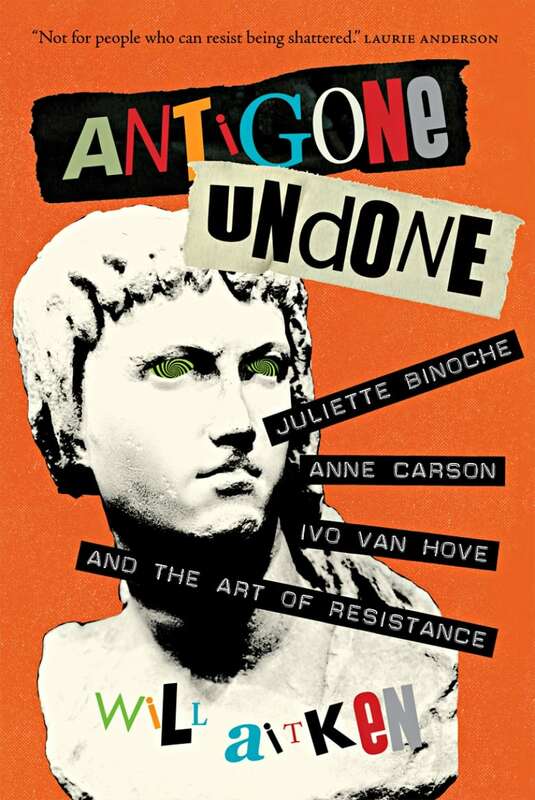 Antigone Undone by Will Aitken offers an urgent account of the creative and destructive power of great art. In 2015 Will Aitken journeyed to Luxembourg for the rehearsals and premiere of Anne Carson's translation of Sophocles​' 5th-century BCE tragedy Antigone, starring Juliette Binoche and directed by theatrical sensation Ivo van Hove. In watching the play, he became awestruck with the plight of the young woman at the centre of the action. "Look at what these men are doing to me," An­tigone cries, expressing the predicament of the dispossessed throughout time. Transfixed by the strange and uncanny power of the play, he finds himself haunted by its protagonist, finally resulting in a suicidal breakdown.